➡ CLICK HERE TO BUY! Find out about the Open Beta that arrives on March 1 for everyone below! 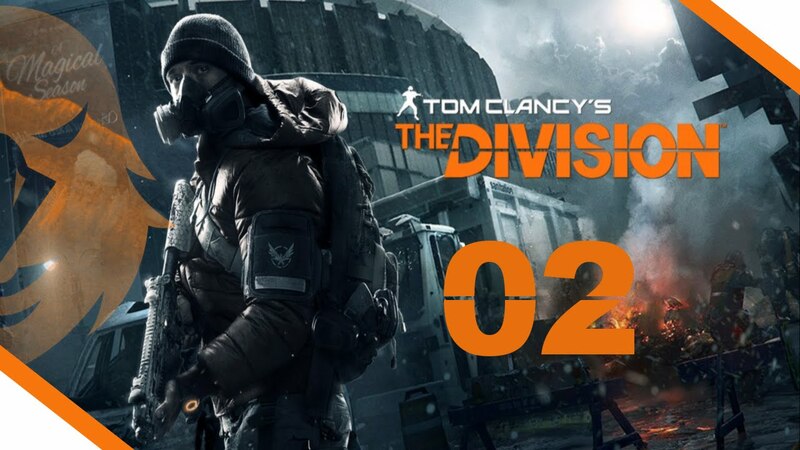 Note: All Episodes (expansions/dlc) will be free for all players that own The Division 2! 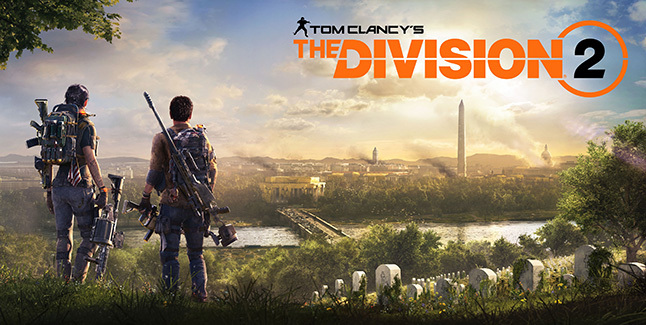 The Division 2 launches on March 15, 2019, and it’s now available for pre-order on PS4, Xbox One, and PC. All pre-orders will net you the Capitol Defender Pack, which will start you off with two exclusive in-game items: “The Lullaby,” an exotic SPAS-12 shotgun, and the Hazmat 2.0 outfit. The Year One Pass, which includes seven-day early access to all free Year One Episodes, exclusive customization items, additional activities, and more. Three additional digital packs (Elite Agent Pack, Battleworn Secret Service Pack, First Responder Pack). 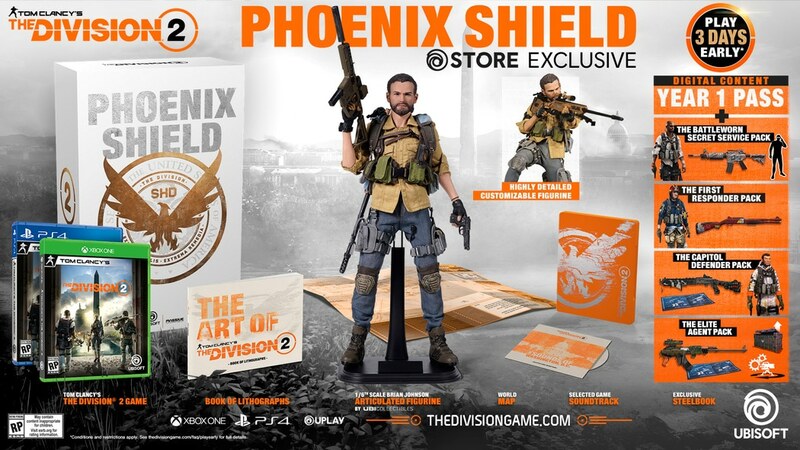 A 30cm-high Ubicollectibles figurine of Heather Ward, The Division 2 Specialized Agent. Other high-end physical items, including a book of lithographs, the game soundtrack, and a Washington, DC map packed together in a premium box. 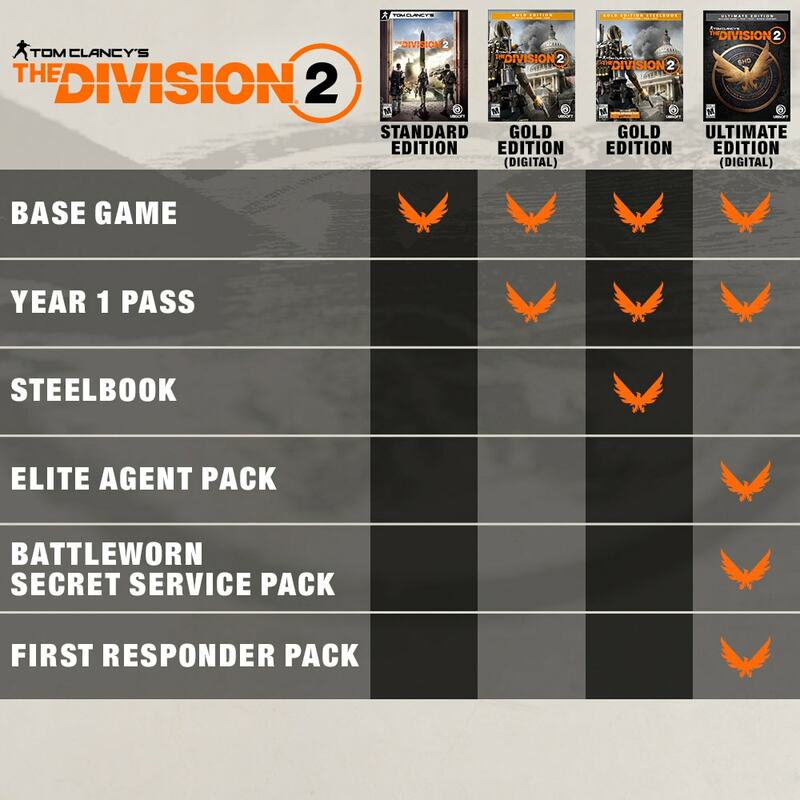 The Year One Pass and three additional digital packs (Elite Agent Pack, Battleworn Secret Service Pack, First Responder Pack). An Ubicollectibles high-end one-sixth scale articulated figurine of Brian Johnson with equipment and gear. 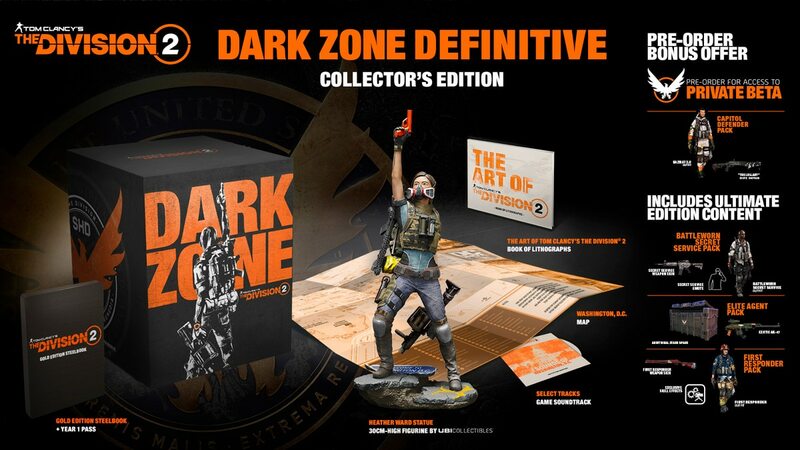 Other high-end physical items including a Steelbook metal case (Ubisoft Store exclusive), a Book of Lithographs, the selected Game Soundtrack and a Washington, DC map.